Succession plans impact so many aspects of a business that this article will not allow me to do the subject justice. However, some of the benefits it provides are: it supports CEOs who want to drive innovation, it creates a learning organization, it develops leaders throughout the enterprise and it allows the company to exploit new and profitable opportunities. Unfortunately, everyone feels it is a simple process and assumes they are doing it correctly. Succession planning has a few basic fundamentals. The best CEOs surround themselves with people smarter than they are and give them room to run with huge responsibilities. The worst try to prove they are smarter by handling everything and trusting no one. Leaders who do it well use delegation in a thoughtful and strategic manner. Delegation is a powerful strategy to create a learning organization and it develops the next 2-3 generations of future CEOs. It also builds an underrated quality: trust. When the CEO delegates to her direct reports, it empowers the direct reports to learn new skills and competencies. In turn, they will have to delegate to their direct reports with the same results. At that point, the CEO is freed up to learn new skills and competencies as well as explore untapped opportunities that may require new skills. When he does not delegate, there is a chance the CEO’s plate will become too full for him to learn new skills and competencies. As a result, he becomes mired in the same challenges year after year and no plan to get beyond them. This inescapable trap causes far too many companies to miss opportunities. Lack of delegation also sends a message down the organization that the CEO does not trust his people with larger responsibilities. And the culture of mistrust is created. Worst of all, when the CEO retires, poor succession planning and delegation leaves a void in the organization. The company is forced to pay a search firm to find a successor or a qualified board member has to step in. Lee Iacocca, who was CEO of Chrysler from 1978 to 1992, was seen as exceptional for his time. Except, when he retired, Chrysler fell on its face. Iacocca was known for having yes men while he took care of the most important matters himself. Furthermore, the best succession plans do not seek out the right person for today. They are looking for the CEO who is right for the next several years. Training and development must take that into account. Succession planning is difficult, and often, CEOs are in a position where it’s lonely at the top and there are few people with whom to discuss the most pressing challenges. Without someone to speak openly about everything, a leader could find himself or herself in a difficult fight for survival. Although many executives and board members try to overcome their problems by working harder and being smarter, the tenure for CEOs decreases every decade. From the day you become CEO, preparing the company for the moment when you leave is one of the most instrumental steps, and the benefits are clear. Look at Steve Jobs who demonstrated great succession planning, which has allowed Apple to create new and profitable revenue streams through innovation even after he left. I welcome any of your comments and suggestions below. yourself. It almost never has anything to do with what is in front of you. others about what can and cannot be done. to friends, family and society live a life with many self-imposed limits. greatest rewards in life. When you choose your friends, choose wisely. After the unexpected death of North Korea’s ruler, Kim Jong-Il, what will be the fate of the isolated country? 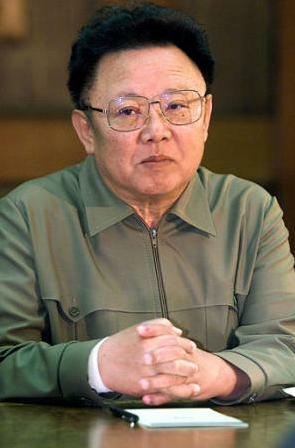 Kim Jong-Il died December 17th, 2011 at the age of 69. His death has sparked widespread rumors and speculation. North Korea has a reputation for instilling fear. While the society is closed to the rest of the world and holds many secrets, they are known for ambitious pursuits to develop atomic weapons as well as their attacks on South Korea. And now the rest of the world holds with abated breath and uncertainty over how the successor, Kim Jong-Il’s son, Jong-un will lead the country. Businesses invest enormous amounts of time and money in 3-year plans and strategies with the hope for certainty. Yet, the environment changes so rapidly that the 3-year plan becomes obsolete after the year one leaving many businesses to run on an obsolete model. Even the most ambitious plans and strategies expire and have an expiration date. New capital and employees have a way of conforming to the existing culture rather than generating long term change. That cultural mindset is often the product of the founder who has gotten to where he is because of specific skill sets, knowledge base and belief system, which unfortunately all come with inherent limits. Why? Skills, knowledge… come from what he or she already knows or has experienced. In other words, it comes from the past. We (people) make our future decisions based on what we’ve experienced. However, just because something worked in the past, doesn’t mean it is appropriate for the future. In last week’s article, I talked about how leaders are different from managers. Leaders intentionally create problems to drive innovation and accelerate revenue growth. Managers solve problems. This time I will give 5 tips on strategies that can give you unwanted problems. As a rule, it is rare to hear me discuss what you should not do. There is more power pursuing what you do want, rather than focusing on what you don’t want. This week I am making an exception.